DVD to iPod for Mac boasts an effective video conversion software solution as it integrates DVD to iPod Converter for Mac and iPod Movie Converter for Mac into one pack. It is developed for Mac OS X users to convert DVDs and videos & audios in almost any formats like AVI, MPEG, WMV, MKV, DivX, MOV, RM, RMVB, MP3, WMA, WAV and OGG for iPod while maintaining the quality. The Mac DVD to iPod Suite also provide many fantastic features like merging several DVD chapters or video files into one, customizing video settings and effects, etc. 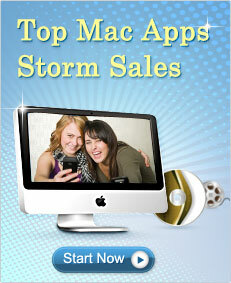 You can convert and trim DVD to iPod files freely and enjoy it with your friend, and add more fun to your life. PDF converter for Mac is versatile and all-in-one PDF conversion software that can convert PDF into Word, Excel, PowerPoint, EPUB, Text and HTML. Mac PDF converter gives Mac users the great capability and convenience to make the work more perfect. For example, by converting PDF to MS Word, Mac users can flexibly edit or reuse read-only PDF files, or present PDF contents to the public; by converting PDF to MS Excel, users can extract PDF tables and data to Excel spreadsheet for easier calculating and editing; by converting PDF to EPUB, users can put eBook to popular mobile devices, such as iPad, iPhone, Sony Reader and more; by converting PDF to HTML, users can share PDF contents on internet easily. It also provides a series of useful settings for users to modify and share PDF conveniently and easily.